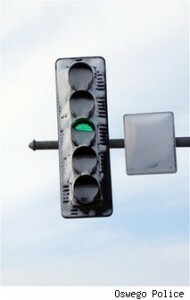 The Secret Diary of Steve Jobs : Guess what’s wrong with LED traffic lights? Guess what’s wrong with LED traffic lights? In theory, they’re great. They use less energy, etc. The only problem? They don’t put how the heat like old ones do, of course–that also means they don’t melt snow. So if you’re in the NE and you’ve got these in your town, be careful out there.